Take an empty glass food jar (such as a pasta sauce jar, salsa jar, etc.) 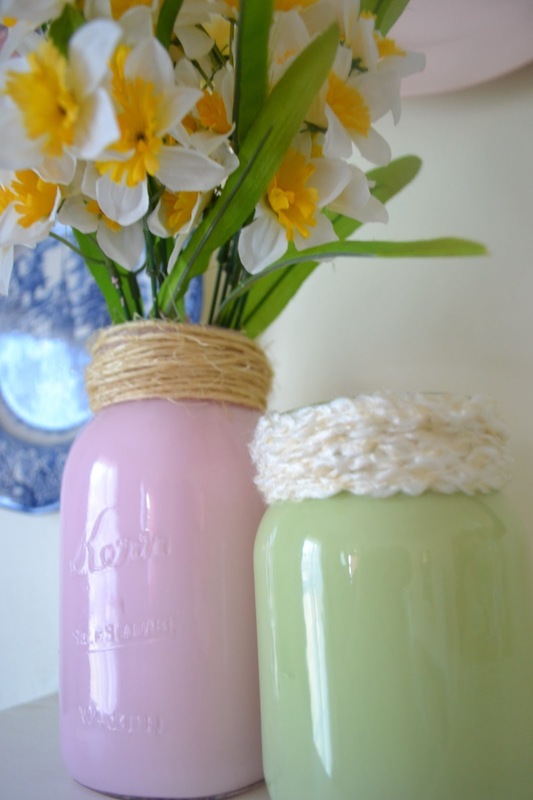 and turn it into a beautiful spring vase that is quick, easy, and thrifty! I fell in love with these jars over at: thelatestfind.com and realized I had everything to do this idea to put on my mantel for spring. 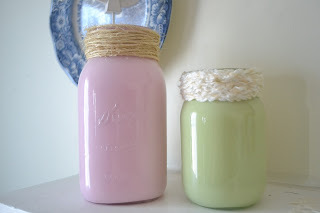 Squirt a small amount of paint into the jar, and swirl paint around to cover the bottom of jar. You don't want to waste alot of paint by squirting in more paint then you need, so just put a little in at a time. 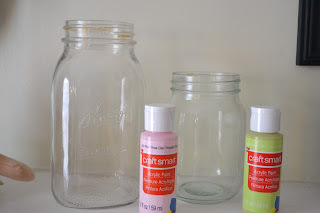 Continue adding paint and turning the jar to spread the paint in the jar. Turn the jar upside down and rest it in a disposable cup that is slightly large than the jar opening to let paint dry. I love this idea! 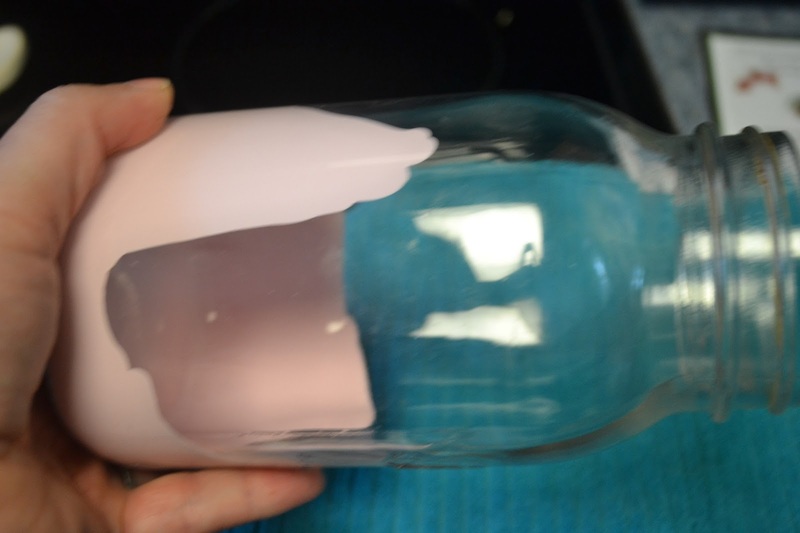 This would make a cute vase to give some mothers day flowers in. Thank you! Nice idea......Thank you for sharing with the Clever Chicks Blog Hop this week; I hope you’ll join us again!